Cameron certainly started his spring break out right by making cookies with Katherine! She found a recipe for cookie cutter type chocolate chip treats. Emma was a big help rolling out the dough and assisting Cam with the letter cutouts (thanks to Auntie Jo for the letters!) and of course, taste testing. Since Emma was on spring break too, she and Cam had time for reading, playing, and eating. 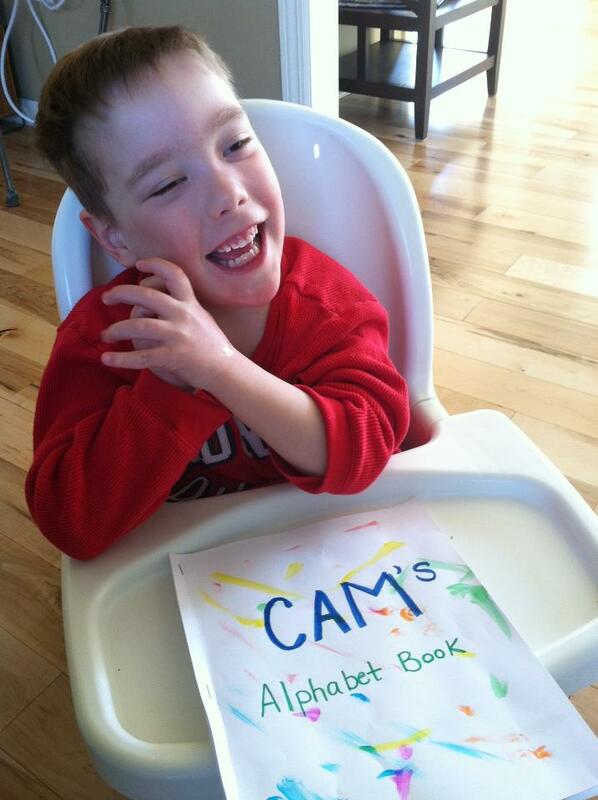 The buddies giggled over the Alphabet Adventure book and seeing Cam's pic on every page. To keep this spring breaker busy, Katherine helped him work on his Alphabet book, coloring and practicing his words. A special treat this weekend was a visit from Ms. Karen, who drove up from Chicago! She brought Cam some of his favorite books and yummy cookie treats!! Jane's treat was spending time with such a great, sweet friend and shopping with Karen and Cameron...for some reason, Chris opted out of that adventure.